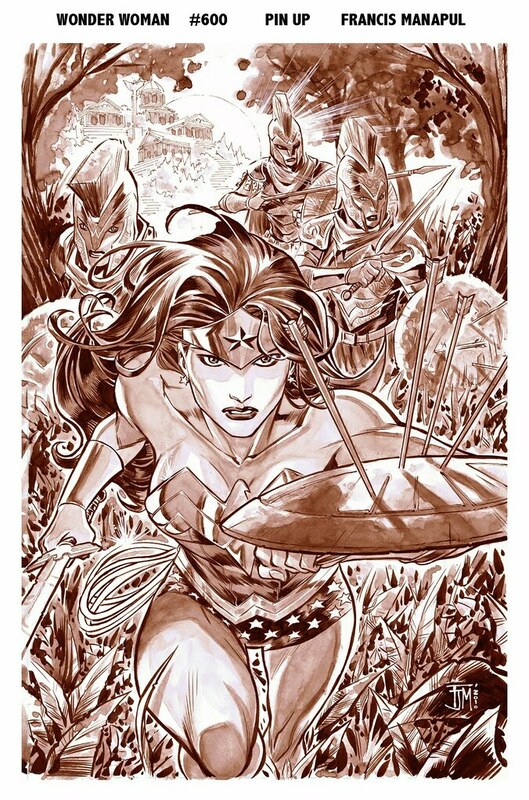 Here is Francis Manapul's pin-up that appeared in Wonder Woman #600, sans color. If you are digging Manapul's Flash run, you should check out his interview with John Siuntres on Word Balloon. Nuff Said!